Let's mutually stalk each other all over the internet. I have fallen super behind at updating my online fashion community profiles. Being a part of these communities is something that I've missed greatly in the last few months, so I spent a giant chunk of last night and tonight trying to catch up. (Weardrobe and Lucky are complete. 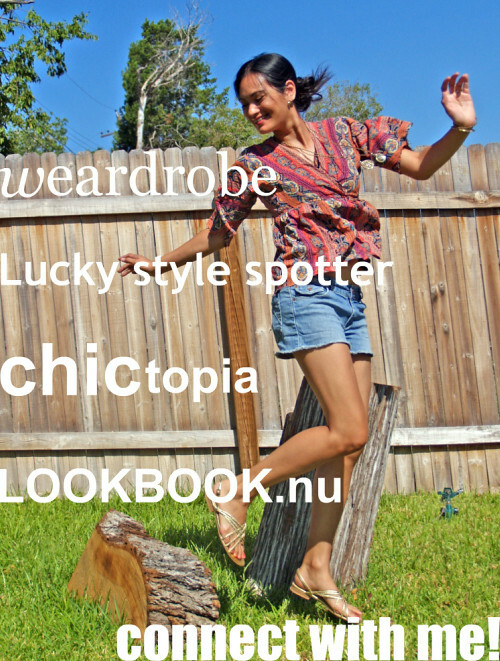 Chictopia and Lookbook will be completed within the next couple weeks as they have more stringent upload caps per day). I would absolutely love to connect with y'all on any of these sites! To get even more connected, we can be buddies on Twitter and Facebook, too! We can get to know each other in virtually every part of the internet, can't we?